Bradley is feeling the "winter blues" dressed all in blue! 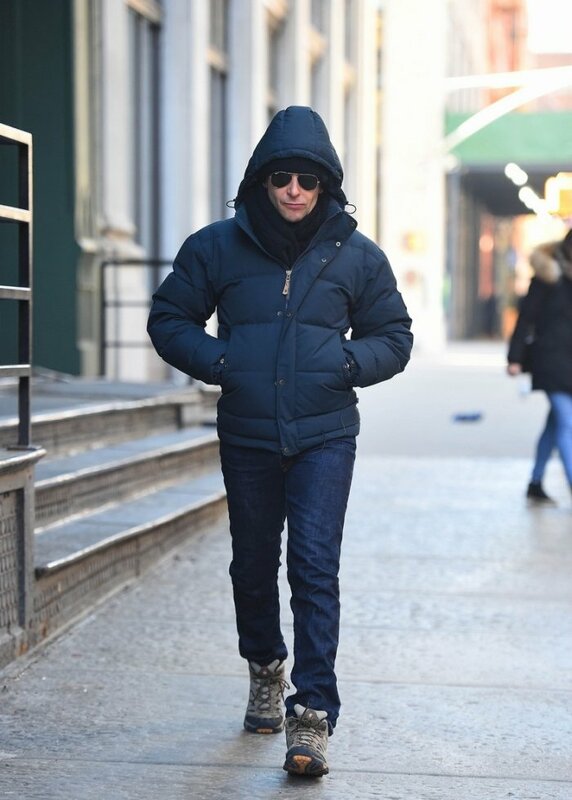 Bradley Cooper was seen all bundled up in New York, strolling in the city. He kept warm in a navy puffer jacket and dark blue straight cut jeans. Probably trying to express his “winter blues”! 😉 He accessorized his outfit with a pair of hi top beige sneakers, a black wool scarf and a pair of RayBan aviator sunglasses. Bradley’s jeans are a straight leg raw selvedge pair that has no distressing and no fading – YET! The great thing about raw jeans is that the more you wear them, the more they become “your” jeans. You can read more about this in my posts about raw selvedge denim. There are lots of brands doing cool selvedge denim for the dudes, like Cult of Individuality, just to mention one. And you can also find selvedge jeans here.